The workshop was part of our "Land Use and Resources" day (other parts of the program that day included workshops, discussions and presentations on food, farming methods, waste management, and circular economy). We started the workshop by playing the Fish Game simulation in eight groups with 5-9 members, each recording their results in a table. We followed up on this in reflective group discussions, talking about why groups failed, what the different scenarios represent, and how this relates to real life/ in what ways this is not a 100% accurate representation of international (over)fishing. Afterwards, we provided some more theoretical context on overfishing by going through our own presentation on causes of overfishing, consequences for the ecosystem and the human population, and proposed solutions and strategies to prevent overfishing / fix the damage already done. Additionally, we went over some specific cases of overfishing e.g. in Canada and on the West African coast. Our work with the NYC Department of Education’s High School Career Technical Education continues and has now been merged into the CTE Academic Integration Blueprint. This document aims to bridge the gap between graduation rate and low college readiness by facilitating the integration of CTE and academic coursework, training teachers to develop integrated curriculum and promoting high quality project-based learning (PBL) practices in academic classes. One of the plan’s five objectives is to “Infuse sustainability principles throughout CTE and academic content curricula”. In my experience, it is harder for people to think about what it will take to educate for sustainability, than it is to actually educate for sustainability. This makes sense, given that change of any kind is threatening to our reptilian brains. We have a biological fear of change. Add to this the fact that most educators think of “sustainablizing” as an add on to an already packed life, curriculum and to do list. Given the flavor of the month way that schools often operate, it seems like just one more thing to do. It isn’t. It can’t be. It is the thing we all must do if we want to thrive over time. I have been working with Kapalama Middle School at the Oahu campus of Kamehameha Schools for the past seven years. We would like to continue our work together, but for now, the contract has been completed. How can we know if the work we have done together to educate students for a sustainable future will last and will be improved over time? We can’t. What we can do is create favorable conditions for it to flourish over time—just like everything else we want to sustain. As I always say, there is no such thing as “sustain-guaranteed” but there is such a thing as “sustain-able”. In previous blog posts, we’ve featured stories about schools or districts across the country that have integrated EfS into their curriculum. Today, we’d like to tell you about Putnam and Northern Westchester Board of Cooperative Educational Services (PNW BOCES), a regional education agency whose innovative approach to EfS is worth exploring. New York State’s PNW BOCES is a regional collaborative serving approximately 60,000 pre-K through 12th graders in 18 school districts. In 2008, the PNW BOCES Curriculum Center undertook the development of a K-12 web-based Education for Sustainability curriculum to address the question, “How are we all going to live well within the means of nature?” The curriculum development project was a multi-year undertaking that included capacity building for administrators to lead in this area as well as support for teams of teachers to develop the cutting edge sustainability education curriculum. To implement the project, PNW BOCES assembled a diverse group of sustainability, curriculum design, and instructional technology experts to work with the educators in involved in the project. As the new administration in Washington questions the role of the federal government in protecting the environment, there is a growing sense of urgency for all parts of society to step up to the plate, and they are. As Einstein said, “The significant problems we face cannot be solved with the same thinking we used to create them.” We need new ways of thinking, not just to solve today’s problems, but to lead us to a healthy and regenerative future. Now imagine that schools could prepare young people to think about the world in this entirely new way. Here’s the good news—it’s happening. Right now, all over the state of New Jersey. Today we’d like to introduce you to Trevor Day School, a Pre-K through Grade 12 independent day school located in New York City. Trevor’s commitment to sustainability is evident inside and outside the classroom. Jaimie Cloud has been working with the school since 2009, providing training and resources to help the school integrate Education for Sustainability across grade levels and academic disciplines. The Cloud Institute and The Derryfield School contributed to the newly released Educating for Sustainability: Case Studies from the Field, PreK-12. Jaimie Cloud and Brentnall M. Powell were two of the authors selected for the e-book, which showcases inspiring stories of Education for Sustainability (EFS) in action across the country. The case study, Inventing the Future: The Teaching of Environmental Studies, features Jaimie's work with Powell, the course instructor and Dean of Faculty and Academic Programs at The Derryfield School in Manchester NH. The two worked together to "sustainablize" Derryfield's year long, humanities based environmental studies course. Educating for Sustainability: Case Studies from the Field, PreK-12 is a publication of Shelburne Farms, Shelburne, Vermont. Shelburne Farms is a nonprofit organization educating for a sustainable future. The Farm collaborates with educators, schools, and other partners to advance education for sustainability in Vermont, nationally, and internationally. Shelburne Farms’ campus for learning is a 1,400-acre working landscape and National Historic Landmark. Shelburne Farms serves over 150,000 program participants and visitors annually on-site alone. To access the FREE e-book, Educating for Sustainability: Case Studies from the Field, PreK-12 please visit Shelburne Farms website. Photo Credit: The Derryfield School: A digital poster made by a student as part of the Consumption/Waste/Design Unit. This post, written by James Gast, was originally published on The Willow School website, 9/9/16. “What kind of future do we want?” That’s the central question that Jaimie Cloud poses to educators and students. As president of The Cloud Institute for Sustainability Education, Cloud has since 1993 worked with schools to “sustainable-ize” their curricula. It’s her contribution to the kind of future she wants – one where human beings thrive all over planet Earth, without undermining the fundamental support systems of Nature and Society. On August 30 – 31, 2016, Cloud worked with Willow’s teachers to align elements of their curriculum with the “enduring understandings” associated with educating for sustainability and its nine core content standards: Cultural Preservation & Transformation; Responsible Local & Global Leadership; The Dynamics of Systems & Change; Sustainable Economics; Healthy Commons; Natural Laws & Ecological Principles; Inventing & Affecting the Future; Multiple Perspectives; and Strong Sense of Place. Over the coming school year, Cloud will continue to consult with Willow and to coach faculty to deepen our understanding and delivery of sustainable education, and to more effectively document and map the curriculum as a whole. The workshop marks Cloud’s third round of work with Willow in the last decade. Over that time, she has noticed a maturing of the school and a deepening sense of grounded-ness. For Willow’s veteran teachers, the workshop offered a chance to more fully map their courses in relationship to one another, and to document what’s been working. For new hires, it was a chance to learn more about the Willow brand of education. Throughout the coming school year, teachers will document and map aspects of their curricula online. Cloud will serve as a coach, visiting Willow monthly to work with teacher-leaders as they embed appropriate knowledge, skills and dispositions of Education for Sustainability into exemplary curriculum units to share with their colleagues. The end goal of all this effort is to truly teach our students in ways that make them agents of effective and sustainable change for themselves, and ultimately for the world. Today, we’d like to introduce you to the Denver Green School (DGS), a public neighborhood K-8 school now in its seventh year. DGS, located in a diverse urban setting, is one of Denver’s “Innovation” schools. These schools create their own unique program design with waivers from certain state and district rules. Recently, DGS was among four schools granted even more autonomy through the approval of a new “Innovation Zone”. Today, we’d like to introduce you to Compass Charter School, a new progressive elementary school located in Brooklyn, NY. The school, which opened in 2014, currently offers kindergarten through second grade, but plans to serve children in grades K-5 at full capacity. Compass Charter School is the result of a 2012-13 journey by three Brooklyn teachers who traveled the nation in search of what is working well in the American education system. Brooke Peters, Michelle Healy, and Todd Sutler called their expedition The Odyssey Initiative (OI) and returned home to establish a school using lessons learned along the road. “ From our experience on the trip, we decided to start a new school that was progressive, inquiry based and one that connected with authentic experiences in the real world,” explains Healy. It soon became clear that a charter school was the best fit for the trio’s innovative philosophy, which required a departure from the traditional public school structure of leadership and budgeting. Intrigued by the EfS standards, Healy and Peters first attended The Cloud Institute’s Summer Design Studio (SDS) in 2014. They immediately noticed the SDS was not a typical Professional Development (PD). “It really was a design studio,” says Healy. “Jaimie was there and flexible when we needed it, but she was also able to step out if we wanted to do some work designing.” The two spent the week exploring how to vertically align the EfS standards with K-5 curriculum and integrate Science and Social Studies standards in a meaningful way. “ Even though our school wasn’t approved yet, we just paid for the studio to help us develop what we wanted and where we wanted to go,” explains Healy. “We added very special foundational things, like overnight camping, a trip to see civil rights things and more, all depending on the units and years. That was the road map.” Another benefit of participating in the SDS was the opportunity to connect with others doing this work. “We also met some other people while we were there and we got to visit and learn from educators in NJ and other places. So it was a nice networking event as well, “ describes Peters. Once the school opened, the two returned to the SDS to work on unit design, this time accompanied by the school’s new Sustainability Coordinator, Kristen Beneke and a few founding faculty. Jaimie began monthly on-site coaching to support school leadership and faculty to help build the school, refine the units and focus on content skills and assessment. The team is planning to return to SDS this summer to continue to document and map their curriculum. The Compass Charter School created a curriculum that aims to connect children with the natural world and the systems that sustain communities. Located in one of the most racially and culturally diverse places in New York City, the school takes advantage oflocal resources, such as people, green spaces, architecture and history. Sustainability is woven throughout the entire curriculum, including a twice weekly Sustainability Studio and ongoing classroom units at least three times a week. Teachers and staff meet every week to plan the integrated sustainability lessons. All curriculum is aligned with EfS standards as well as Common Core and Next Generation Science standards. In grades K-2, students immerse themselves in the natural world and begin scientific inquiry through play, exploration, and hands-on activities. 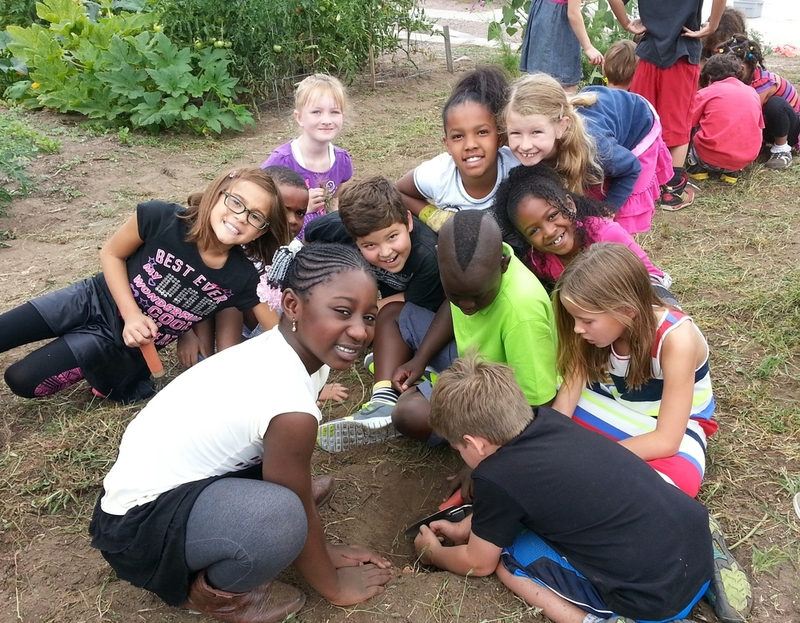 Once grades 3-5 are added, students will participate in civic engagement by researching natural and built environments, and designing and implementing service projects within their own community. At Compass Charter School, sustainability education doesn’t end at the classroom door. Green practices are implemented throughout the school such as vermiculture, composting, recycling and even CSA (community supported agriculture) shares distributed at the student-run farmer’s market in the schoolyard. Community members help to provide healthy snacks, cleaning products, and water bottles for the students. The classrooms at Compass offer natural environments that contain wood furniture, plants, and signs made by the students and teachers. Students transfer what they learn in the studio throughout their day at school and at home. Families donate recycled materials for arts and crafts projects and students recycle and reuse materials by transforming them into new objects. 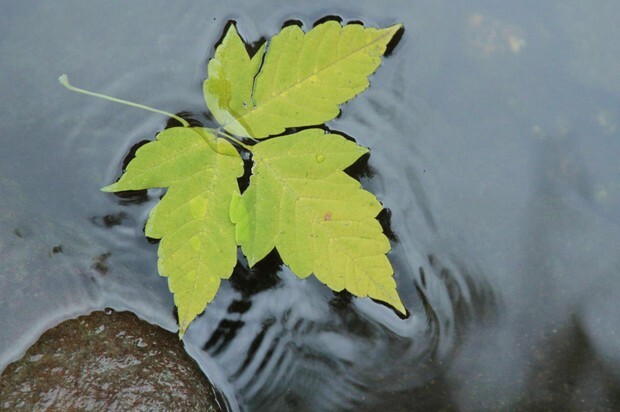 Everyday a student comes into school with a new object from nature that they must share or use as inspiration for a piece of writing about the Earth. For more on Compass Charter School, visit their website. Aloha! Today, we’d like to introduce you to Kapalama Middle School, located on the island of Oahu in Hawaii. This native Hawaiian middle school, on one of The Kamehameha School’s three campuses, “educates children of Hawaiian ancestry to become good and industrious men and women in spirit, mind and body and to use their talents and abilities to positively contribute to the world.” Kapalama’s unique building is designed with an open floor plan and giant common spaces. Innovation is a priority here, as the school embraces Education for Sustainability, curriculum mapping, effective instructional practices, character and student leadership. The Cloud Institute’s relationship with Kapalama began almost by chance. In the Spring of 2011, Dr. Pua Kaai, Principal of Kapalama Middle School was inspired to explore EfS after reading Jaimie’s chapter, Educating for a Sustainable Futurein the book, Curriculum 21 Essential Education for a Changing World (Ed. Heidi Hayes Jacobs. 2010). Soon after, Dr. Kaai, Dr. Erika Cravalho, Middle School Curriculum and Assessment Coordinator and several other key members of the leadership team at Kapalama shared a meal with Jaimie at one of Heidi’s curriculum mapping conferences in Saratoga, New York and a productive partnership was born. Back in Hawaii, two enthusiastic Kapalama teachers volunteered to participate in The Cloud Institute’s EfS Curriculum Design Studio™ in NYC and followed that up with ongoing Skype coaching sessions with Jaimie throughout that Fall. Hoping to engage more members of the school community, leaders at Kapalama invited Jaimie out for a whole school professional development day that included a keynote address and the EfS Intro. She returned that next summer, taking the first full cohort of teachers through their own EfS Curriculum Design Studio™. Since then, Jaimie has been coaching the entire faculty and most staff members via SKYPE throughout the year. In addition, she has been making the trip to Oahu each February (someone has to do it!) to provide the full faculty PD day and to work on whole school sustainability on site. 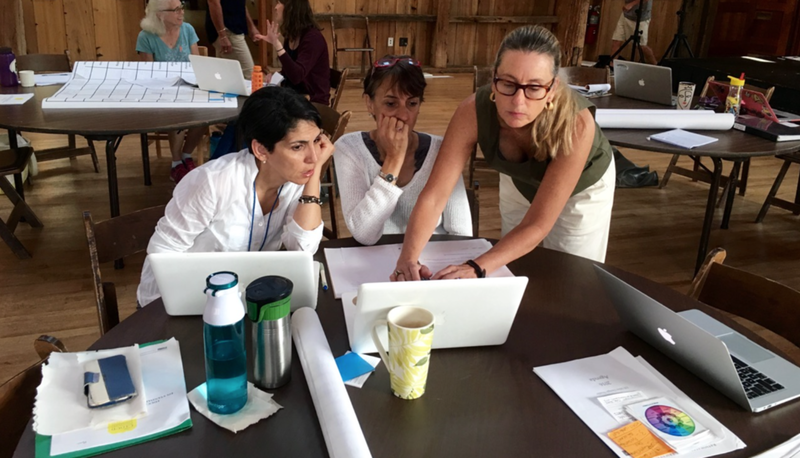 She returns each summer to support Kapalama teachers during their Studio as they innovate, design, document, map and “sustainablize” their courses and units, assessments and performance criteria. Erika points to one of Kapalama’s interdisciplinary exemplars: an extensive unit on Biomimicry that involves ELA, Science, Math, Social Studies and Technology. “It caught fire, which is a fantastic thing to watch.” Another exemplar includes a student developed planet-friendly app for increasing the regenerative capacity of the aina (Hawaiian for land). EfS at Kapalama doesn’t end when the students leave for the day. Recently a group testified about sustainable development issues at a local community meeting, showing that in-school learning has real life results. Kapalama recognizes the importance of assessment and data collection in successfully doing this work. Jaimie’s most recent February visit focused on the question, “To what extent are we actually educating for sustainability, and to what extent are we assessing for it?” To this end, a large scale analysis was initiated on their mapping software, Rubicon Atlas, seeking evidence of EfS content and performance indicators in the core curriculum. It took one second to “push the button” to get the data, and then Jaimie and the faculty spent the rest of the day analyzing the data and determining their strengths, gaps and next steps. When I first heard about STEM, I thought, “Oh—it’s the new and improved Science, Technology and Society (STS)!” But no, Society did not seem to play a part in the new equation. I looked for benchmarks for quality STEM. And, no again. Then I asked people about what it really was, and they spelled out the acronym for me: Science, Technology, Engineering and Math. I knew what the acronym stood for, I wanted to know what it meant i.e., what goal it was in the service of, and what problem it was designed to address. I discovered it was generally understood that our students were not performing well in science and math compared to many other countries with whom we were competing in the global market place. STEM seemed like a robust way to address that…problem? symptom? Then I heard that a significant investment of funds was to be made by government and private institutions to support STEM initiatives that increased students interest in, and preparedness for Job Readiness in the 21st Century. OK—That I could understand. That seemed like a good idea. If we want education to contribute to a sustainable future for us all, we will need to design and re-design infrastructure, buildings, food and transportation systems, and we will have to be cognoscente of the Earth’s carrying capacity. If we had all been able to “do the math” since the turn of the century, one could argue that we would not have exceeded Earth’s carrying capacity in the 1980s. Doing the math helps us identify and tap the power of limits. So I began to think I understood what STEM was for. 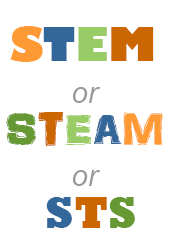 As I continued to look for quality criteria for STEM programs, I came across the idea of STEAM. Since the arts have been so marginalized in our schools systems, I thought it was a creative idea to make sure arts and creativity was added to STEM to make STEAM. Of course once you add the arts, then all you have to do is add the Humanities and you have school—all over again. So, why not make the same significant investment in transforming our schools into learning organizations that can prepare our students to thrive in the 21st Century? When that happens, students experience truly interdisciplinary design challenges that weave together the science, technology, engineering and math with creativity, ethics, systems thinking and anticipatory thinking, for example. When that happens, students seamlessly move from class to class weaving together the experiences they are having into an integrated and whole understanding of what they are studying. When that happens, it is obvious that what they are learning in school is relevant and meaningful, applicable and transferable to life outside of school and over time. And when that happens, our students will be more likely to contribute to a healthy and sustainable future for us all. This professional development series will prepare CTE educators with the framework for sustainable design thinking, systems dynamics, standards integration, curriculum mapping, and cycles for continuous improvement. Bridge the widening gap between emergent careers of the 21st century and CTE education. At the completion of this training series, educators will be able to utilize digital tools and resources to create curriculum units that are aligned to academic, technical and sustainability focused 21st century standards. They will collaborate with educators across similar CTE content areas and have the tools to improve and innovate their curricula while meeting the NYS benchmarks for program quality. Help build the bridge to the next generation of careers for our youth. Sir Ken Robinson describes creativity as, “a process of having original ideas that have value”1. Fritjof Capra describes it in this way: “Creativity is a key property of all living systems and contributes to nature’s ability to sustain life”. Either way, it’s a good idea if you like living. We should be cultivating it. Sir Ken is famous for describing how our industrial model of schooling kills creativity by not preparing us to be wrong—by not honoring our originality and by operating mindlessly - trapped in the past, instead of taking us into the future we cannot grasp yet. Fortunately, we have already begun to create learning organizations designed around how students learn for the future we want. We have some exemplars of schools that are intentionally educating for a sustainable future. We don’t have enough yet and we don’t have the data we need yet to go to scale. 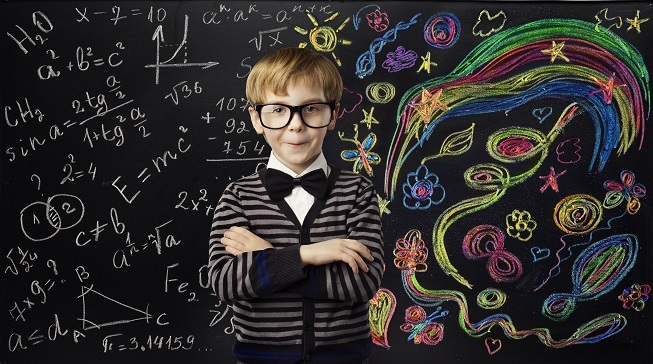 I invite you to make the commitment to optimize our children’s capacity to be creative and smart, to be responsible and to make their unique contributions. It is less expensive and more productive to educate for sustainability then it is to educate for un-sustainability. You can quote me on that. Better yet, join me. Michelle Healy and Brooke Peters (co-directors at Compass Charter School) first came to see me before they received their charter and three years before their school would open. They and their third co-director Todd Sutler have all been master teachers and wanted to start a K-5 school that educated for sustainability. I have been working with them ever since. We are in the second year of the build out of the school. They have done everything right. This is the way to start and sustain an excellent school designed around how students learn, for the future we want. Read what they are doing and understand why they have already been named one of the 41 Most Innovative Schools in the Country. Students are learning how to be scientists by making observations and using their five senses. They are asking questions, making predictions, experimenting and sharing their findings. In the science center we made lava lamps, blew up a balloon with baking soda and vinegar, and experimented with milk, soap and food coloring. We made many "predictions" by guessing what will happen in our experiments! First Graders are sharing what they know about the Earth, Sun, Moon and Stars. We are wondering about the solar system and asking many questions. Starting tomorrow we will begin our projects. 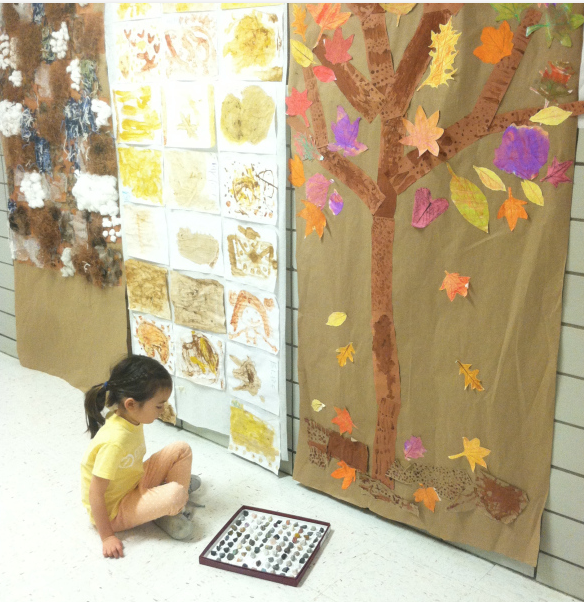 Second Graders are studying natural ecosystems found in Brooklyn such as a forest, river or wetland. Students created group projects using recycled and natural materials to recreate these places. We created a picture map of Brooklyn showing what kinds of plants and animals are found in Brooklyn. 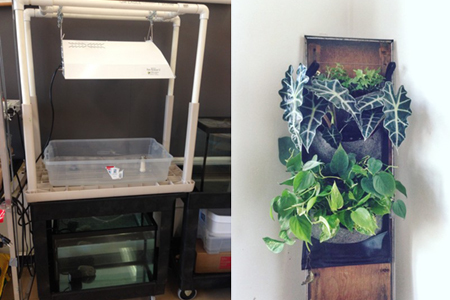 We have started building aquaponics systems to grow food in the classroom using fish waste to fertilize the plants. If you would like to contribute a goldfish let me know! Outdoor play increases fitness levels and builds active, healthy bodies, an important strategy in helping the one in three American kids who are obese get fit. Spending time outside raises levels of Vitamin D, helping protect children from future bone problems, heart disease, diabetes and other health issues. Being out there improves distance vision and lowers the chance of nearsightedness. 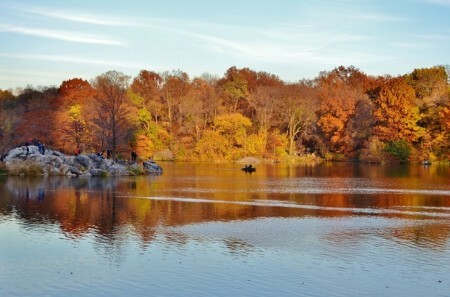 Exposure to natural settings may be widely effective in reducing ADHD symptoms. Schools with environmental education programs score higher on standardized tests in math, reading, writing and listening. Exposure to environment-based education significantly increases student performance on tests of their critical thinking skills. 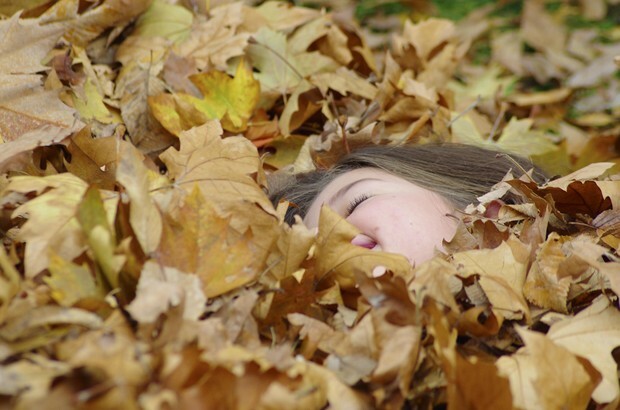 Children’s stress levels fall within minutes of seeing green spaces. Play protects children’s emotional development whereas loss of free time and a hurried lifestyle can contribute to anxiety and depression. Nature makes you nicer, enhancing social interactions, value for community and close relationships. Brooklyn Sewers: What’s Up Down There? (Through May 29) brooklynhistory.org. Cooking With Frida (Through Nov. 1) nybg.org. The Gazillion Bubble Show: The Next Generation (Friday through Sunday) gazillionbubbleshow.com. Honey Weekend (Saturday and Sunday) wavehill.org; grounds admission on Saturday is free until noon. If You Lived Here, You’d Be Home (Through Jan. 17) Maps cmany.org. I worked with Brent Powell of the Derryfield School in Manchester New Hampshire during our Summer Design Studio and then again a few more times during a series of follow up coaching sessions with him. This Environmental Studies course was innovated (sustainablized) to prepare students to play a role in creating a healthy sustainable future for humans and the living systems that support life. The overarching question for the course is: What Kind of Future will we Invent? ENERGY: What will it take to create an energy system in New Hampshire that contributes to our vision of the future? FOOD: What will it take for New Hampshire to secure a food system that supports the vision we have for our future? CONSUMPTION AND THE MATERIALS CYCLES: How can we produce and consume responsibly within the means of nature? As we wrap up the year I [wanted to let you know] that the work we did last year made a big difference in my course. So thank you! Below you'll see a note I just got from one of my student's parents. I thought you might enjoy seeing it. I thought you might enjoy hearing about the impact you have had on my daughter this year. “A” was studying for her final this afternoon when her Grandfather stopped by to visit. He asked “A” a few questions about the Environmental studies class. It was initially met with humor and sarcasm as she expected. By the end of a two hour conversation, which attracted my husband and a few other guests, “A” landed herself a summer job. “A” will research the cost of putting solar panels on all of the commercial real estate properties her grandfather owns. She challenged her Dad and Grandfather to really consider changing their environmental footprint. She debated until they really did begin to look at the difference that was possible. So although small changes in lighting were put into place this year, she has encouraged them to consider more. I was impressed and so proud of her. Thank you. Sustainable Jersey for Schools | Take Action, Earn Points, Get Certified! The Cloud Institute for Sustainability Education is a Task Force Member, Advisor and Service Provider to Sustainable Jersey for Schools, and we can assist you. We have selected the actions required that best suit our expertise and we stand ready to serve the NJ schools and districts seeking certification. We can help you earn up to 205 points towards your certification and more importantly, we will help prepare your administrators and teachers to educate for a sustainable future by inspiring educators and engaging students through meaningful content and learner-centered instruction. The actions that we can assist with include: Student Learning, Learning Environment, Leadership & Planning and Innovation Projects. The full list of actions are available here. If we can be of service in any one of these four areas, please contact us to schedule a complimentary consultation with Jaimie Cloud to discuss how we can help you reach your goals. Contact us today to schedule a 30 minute complimentary consultation to begin planning your school or districtict's EfS program.